1. Can You Tell Us a Little About You? How Are You Related to WordPress? I am Malik Waqas completing my BSCS (Final project remaining). I chose web development and graphics designing for my career. 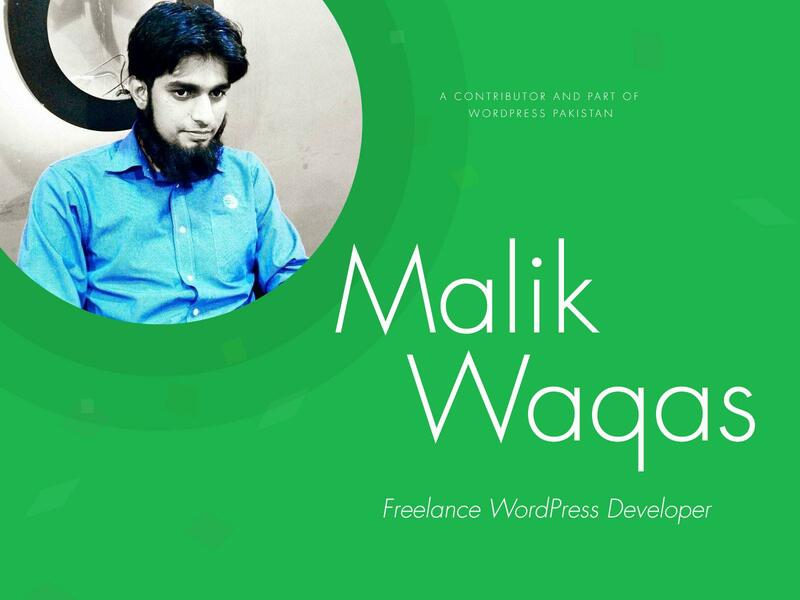 I decided to work on WordPress for creating websites and blogs after attending a one-day workshop of WP-Pakistan at UET where Ahmad Awais taught us about WordPress. No, I have never contributed to open source before. It was an exciting experience for me to contribute for such a superb platform. I was always looking for an opportunity to help the others on the platforms like this, but I was a little hesitated that I’m not experienced enough to contribute, But Ahmad Awais encouraged me that I can help if I know a very little about it. So I started to contribute and tried to give maximum priority to complete the challenge of 20 questions. And finally, I achieved that goal by giving my time and attention to this challenge. So I started to contribute and tried to give maximum priority to complete the challenge of 20 questions. And Finally, I achieved that goal by giving my time and attention to this challenge. I think everyone should contribute to open source. As every expert was a beginner once, An expert’s all credit goes to his hard work, teachers and the people who give their time to helping the people to get out of troubles they are facing. For the people who are not contributing, I must say that sharing is caring. As much knowledge, we share to help people will not only enhance the experience of people it will improve your knowledge too.